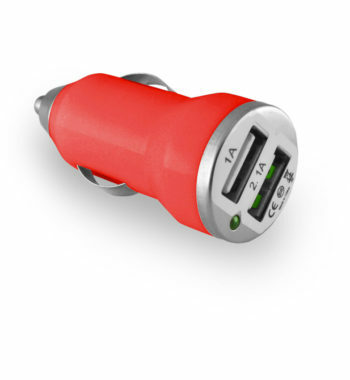 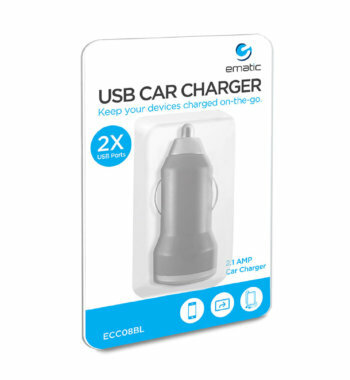 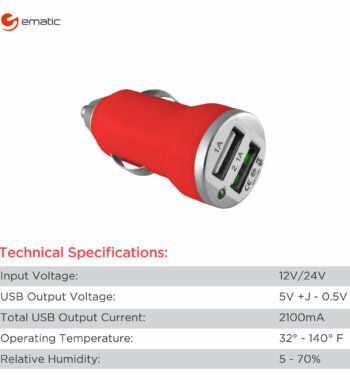 This Ematic Dual USB Car Charger keeps your devices charged on the go. 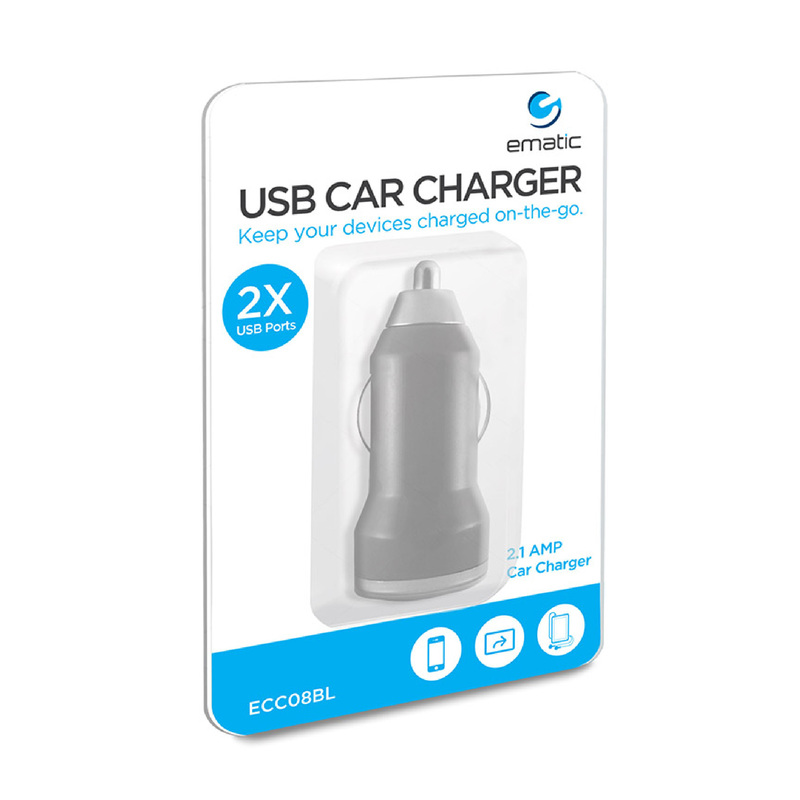 Simply plug into your car’s 12V accessory socket (commonly known as the cigarette lighter) and you can charge two different USB-compatible devices at once thanks to the Ematic Dual USB Car Charger. 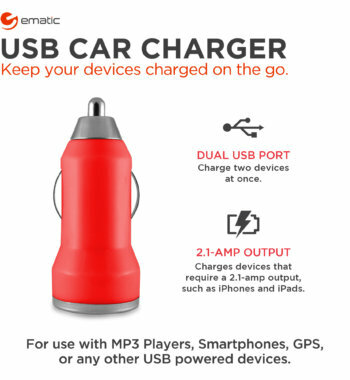 It’s for use with MP3 players, smartphones, GPS systems, or any other USB-powered devices. 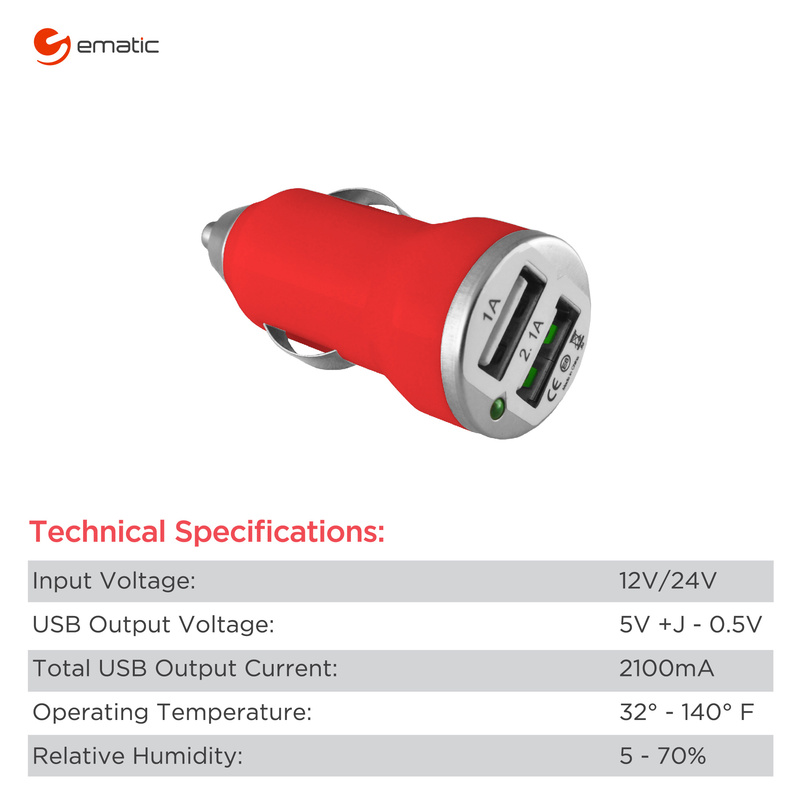 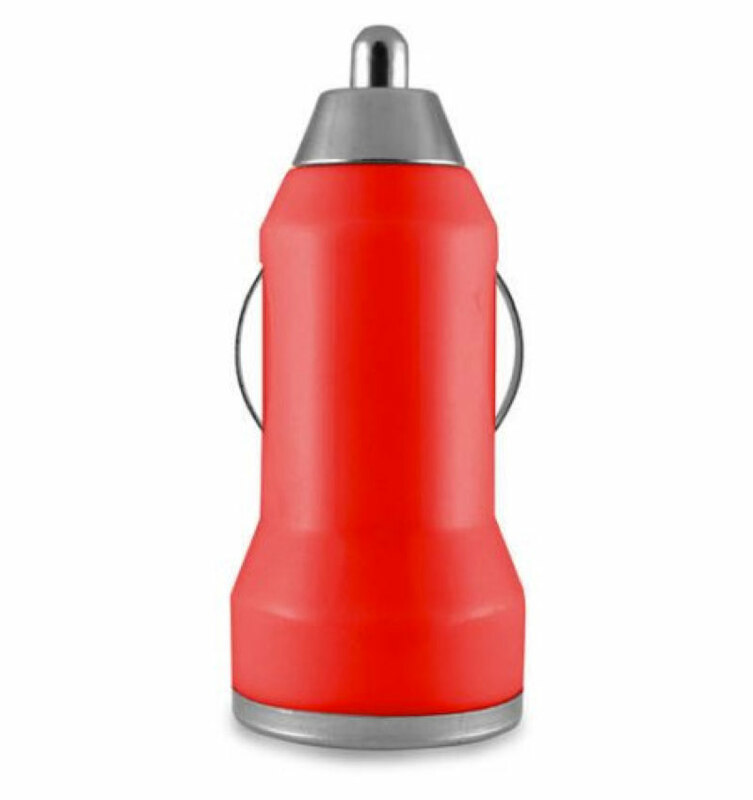 With a power output of 2100mA, this car charger will have all of your devices up to a full charge and ready to go in no time at all. 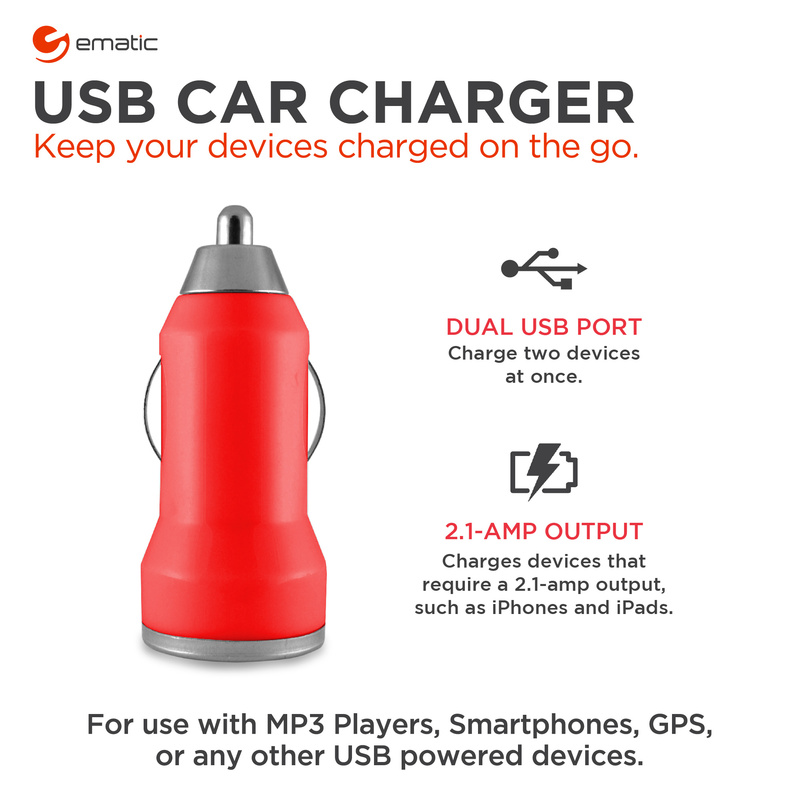 For MP3 Players, Smartphones, Tablets, or any other USB-Powered Device.